St. Peter’s Basilica tickets. To visit St. Peter’s Basilica, it is necessary to know some important details that will allow you to plan a visit to the largest church in the world. The last time I visited St. Peter’s Basilica (a year ago) I was struck by the files at the entrance but I also discovered how to avoid it. Here are all the useful tips. First you need to know that tickets to enter St. Peter’s Basilica do not exist. Admission is free and everyone, believers and non-believers, is allowed to enter and admire his masterpieces. So you can head to the entrance every day of the year and you can enter, but I warn you that you will have to stand in line and wait calmly to go to security gates. The files (there are more than one) are long but flowing, however there is the possibility to enter and save some time. The secret is to reserve a guided tour! Once entered you can admire some wonderful works (at the end of the post you will find a short list) but some places are accessible only if you have booked. What are the guided tours that allow you to admire the Basilica of San Pietro. 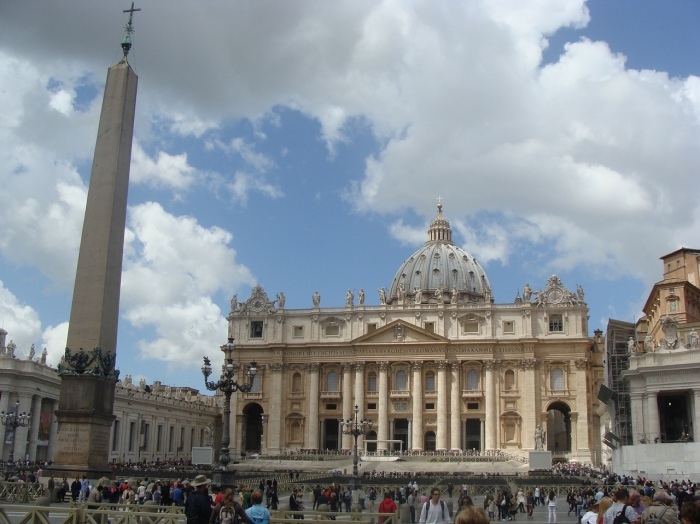 On the TouScanner website you will find the selection of the main and most important tours with access to St. Peter’s Basilica – Skip the Line Tickets and Tours. What are the reservations you need to do to enter the most evocative places of St. Peter’s Basilica. Inside the Basilica of San Pietro is the access to the Necropolis, that is to the underground part of the church where Saint Peter is buried and many other Popes. 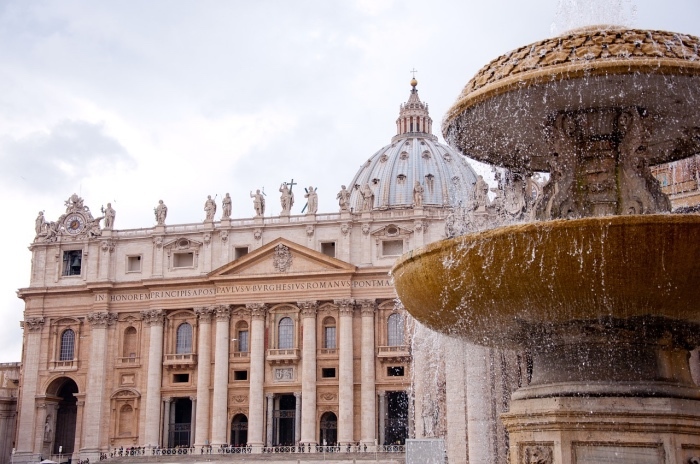 To riserve go to St. Peter’s Basilica – Skip the Line Tickets and Tours. To access the Dome, designed by Michelangelo, you need to pay a ticket and I recommend booking the access. The ticket allows you to use the elevator up to the terrace level but then everyone must continue on foot for 320 steps. 1 – La Pietà by Michelangelo, a sculptural group created by the great Renaissance artist when he was about twenty years old and was already famous as an artist and considered one of the great masterpieces of art history of all time. 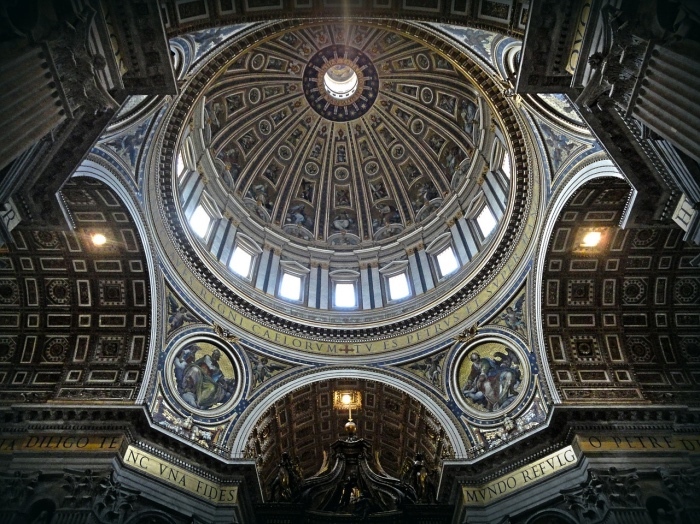 2 – Bernini’s Canopy, built in 1624 to cover the main altar. its spiral columns are a masterpiece of the Baroque. 3 – The Chair of San Pietro, inside which is the real Chair of San Pietro and is one of Bernini’s great masterpieces. Access to the Basilica is allowed to people with clothing suitable for the sacred place.